everyone has passed up - the thrill of snatching a player that you want late. Well, that was the deal for Costanza, Vandelay and myself as we headed over to Chill's house in Tsawwassen for his annual hockey pool. However, we wouldn't pass up this opportunity driving past Richmond and not get some eats... Besides, Costanza really wanted to try the Civet Coffee from Le Cuisson (cat poop coffee to be exact). But before the poo beverage, we got our nourishment nearby at Pho Queen. 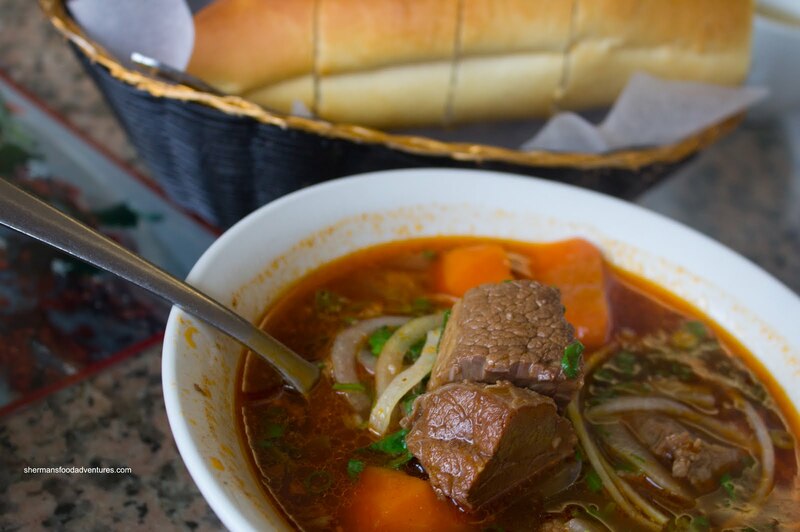 With the regular Pho claimed by Vandelay, I resorted to the Bun Bo Hue (which I equally like anyways). This was a healthy portion with plenty of nicely texture noodles and tender meats. There wasn't any pork knuckle, but there was a large piece of pork with skin. It was quite tough and dry. 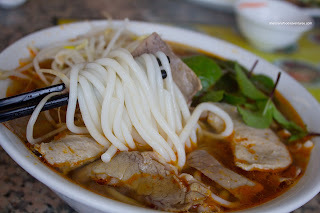 The broth was actually not bad with a decent amount of spice and aromatics. As for Vandelay's Pho, the broth was a bit heavy on the salt and MSG. With that, it was quite flavourful though. With meats similar to my order, they were fine as well. 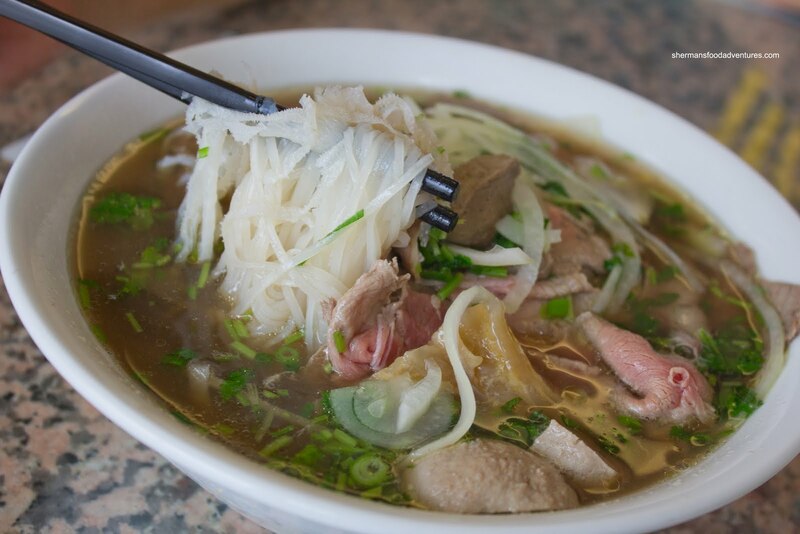 A solid bowl of Pho. Costanza went for the Grilled Lemon Grass Chicken and Pork Chop on Rice, which made me happy since the last thing I wanted was another bowl of noodles to write about! On cue, he set aside a portion for me to try. You gotta love Costanza, always looking out for me! 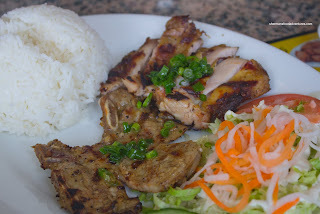 I found the chicken to be super moist and tender with plenty of lemongrass flavour. Although a touch dry, the pork chop was also good with a nice grilled aroma. Now Costanza was not at all satisfied with only one dish, so he asked if I wanted to share the Beef Stew with French Bread. Boy, he is a heaven sent! The perfect dining companion - orders lots and lets me try it all! Unfortunately, the stew itself was a little weak. It was not as rich as we would've liked. In fact, it wasn't even that oily, which is a trademark of this dish. On the positive side, the beef was moist and the French bread was crunchy and light in the middle. 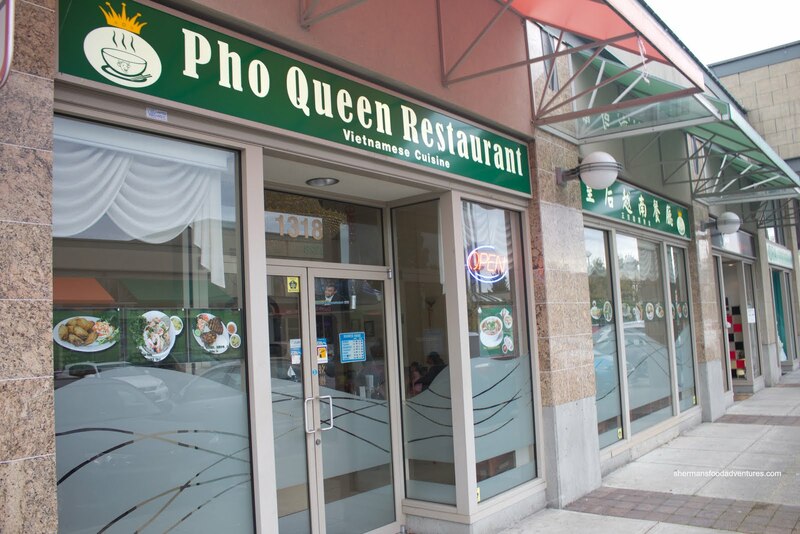 "Pretty good" is probably the best way to describe Pho Queen. Nothing stands out, yet nothing offended us either. 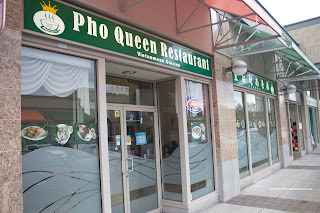 Personally, I would take Pho Queen over Green Lemongrass if one was in Richmond.